Producing a CGI doc about extinct creatures that would be fit for both the TV screen and Imax took a lot of work and planning, says Anthony Geffen, Producer and CEO of Atlantic Productions. When Sir David Attenborough and I sat down at the end of a day’s shooting in the Canadian Rockies, we had no idea what it would lead to. 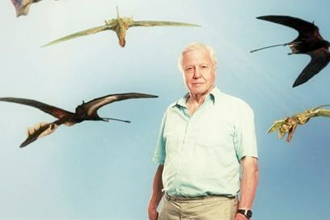 David has a fascination with pterosaurs and we began talking about bringing them back to life using CGI, based on the latest research. Then we came up with the idea of telling the story in 3D. A bottle of wine later, we were imagining these giant creatures flying around the Red Pig Tavern. Action thriller Last Passenger is a new UK film, set around a turbulent train journey. With the shoot wrapping last month, we congratulate those involved, including our Camera Rental department. The BFI and Pinewood Studios, in association with Future Films/2B Pictures, Pathe and NDF International are co-producing this exciting production shot at Shepperton Studios. ONSIGHT has expanded their Camera Rental department with new premises at Shepperton Studios. Having relocated at the end of last month, the additional space allows the bookings team, operators and technicians to meet the increased demands. 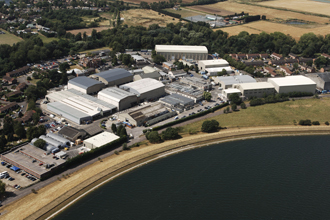 With their second building at Shepperton Studios, this makes ONSIGHT the largest tenant. The existing office, which has housed the camera business for over twenty years, is now where the Edit Rental department is managed from. This conveniently locates both rental businesses at the studios. In the last few months, ONSIGHT supplied Alexa cameras and offline edit stations to Last Passenger, the UK feature film shot at Shepperton. ONSIGHT will also be supplying the camera and post solution for Red Dwarf X series being filmed at the studios. 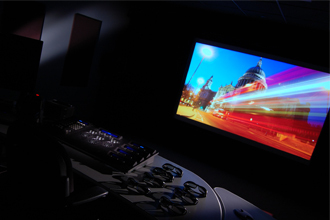 London-based ONSIGHT has purchased another Mistika 2D and stereo-3D postproduction tool from SGO. BVE is continually known as ‘the essential exhibition for broadcast, video and audio professionals’. Next month sees their first regional event, taking place at Manchester Central on 16 and 17 November. ONSIGHT is pleased to be a sponsor of the 3D Revolution Theatre, as supported earlier this year at their London Broadcast Video Expo. The 3D Revolution programme will cover opportunities, practical advice and case studies in this growing medium, led by industry experts. On both days, ONSIGHT is holding the session ‘Supporting 3D Documentary Filmmaking’. Presented by Andy Shelley, COO, we will focus on the shoot to post experience that helped create the immersive world of Meerkats 3D - recently recognised as a Finalist for Best 3D Program at JHWFF 2011 for Oxford Scientific in association with Principal Large Format. One of our key technology partners and fellow sponsor, SGO, will also feature with ‘Case Study - Blackpool Tower 4D Experience’, presented by Stereographer David Cox of Sharp Cookies Ltd. Come and join us!